James (Jim) Smith, Jr. has had a varied professional career, much of which has been in public service. After graduating from college, Mr. Smith attended the University of Maryland School of Law in the evening division and was awarded his Juris Doctor degree in 1968. He immediately joined his family's law firm where he worked for 17 years. In addition to his law practice, in 1978, Mr. Smith was elected to the Baltimore County Council. He served on the council for seven years before being appointed by Governor Harry Hughes as a judge on the Circuit Council for Baltimore County. Mr. Smith's service on the bench lasted 16 years. The Circuit Court is the highest court of general trial jurisdiction. In 2001, Mr. Smith resigned from the bench and began his campaign for Baltimore County Executive. He was elected in 2002 and served until 2010. During his tenure, Mr. Smith's administration led a renaissance of Baltimore County, especially focused on improving neighborhoods and local business districts in the oldest sections of the County. After serving his second term of a two term limited County Executive office, Mr. Smith was appointed by Governor Martin O'Malley as Maryland's Secretary of Transportation. As Transportation Secretary, he had responsibility for all aspects of transportation including; the State's highways, transit and rail networks, the Motor Vehicle Administration, BWI Marshall Airport and the Port of Baltimore as well as all toll facilities in the State. After resigning as Secretary of Transportation in January of 2015, Mr. Smith joined his son in the practice of law at the firm of Smith, Gildea & Schmidt until December 2016 when he joined the Administration of Mayor Catherine Pugh. He serves as the Chief of Strategic Alliances. His portfolio includes economic development, the Baltimore Development Corporation, transportation, employment development, small, minority and women-owned business, and the Mayor's Office of Innovation/Transformation. 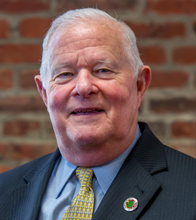 Mr. Smith serves on numerous trustee boards including the University of Maryland Medical System, Shock Trauma, and St. Joseph's Medical Center.